ATLANTA – Beginning in 2015, each year’s college football stars will be honored at the home of the game’s greatest legends as The Home Depot College Football Awards will move to the College Football Hall of Fame and Chick-fil-A Fan Experience in downtown Atlanta as part of a new multi-year agreement between ESPN and the Hall of Fame. Airing live on ESPN on December 10, 2015, The Home Depot College Football Awards will feature the presentation of nine of the most prestigious accolades in college football and pay tribute to the remarkable successes of each year’s standout student-athletes both on and off the field. The 45-yard-long indoor football field at the new 94,000-square-foot attraction doubles as a fully-functioning event facility and will serve as the show’s new home. “Disney gave us a wonderful home for The Home Depot College Football Awards for more than two decades. Now, the National Football Foundation and the College Football Hall of Fame will provide us the opportunity to enhance both our coverage and the experience for attendees and fans. The show and this new venue are not only a natural fit, but a great way to mark 25 years of ESPN televising the awards,” said Burke Magnus, ESPN senior vice president, programming and acquisitions. Each year The Home Depot College Football Awards presents nine National College Football Awards Association (NCFAA) player awards, including such prestigious awards as the Bednarik, Biletnikoff and Maxwell Awards and the Outland Trophy. Also presented are The NCFAA Contributions to College Football Award, The Home Depot Coach of the Year Award, The Disney Spirit Award, and the Walter Camp All-America Team. The new College Football Hall of Fame and Chick-fil-A Fan Experience is a 94,256-square-foot attraction located in the heart of Atlanta’s sports, entertainment and tourism district. 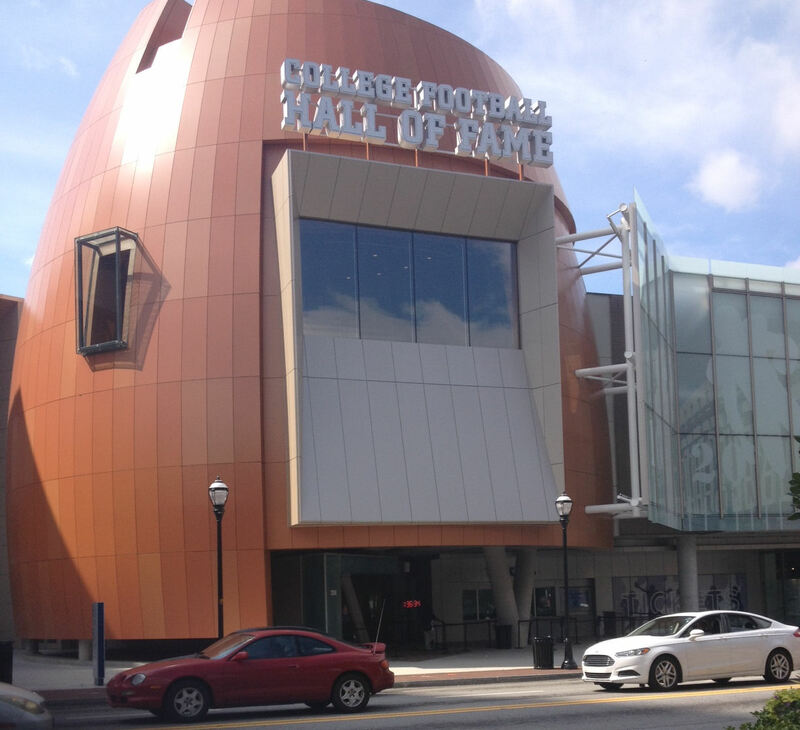 Adjacent to the Georgia World Congress Center and Centennial Olympic Park, the new Hall provides visitors with a highly immersive, interactive and engaging experience using a blend of historic college football artifacts and state-of-the-art, interactive multimedia exhibits. The National Football Foundation (NFF) launched the Hall in 1951 to stand as one of the nation’s premier sports shrines, immortalizing the game’s greatest players and coaches as positive role models for future generations. Atlanta Hall Management, Inc., partnered with the NFF to construct and operate the new Hall of Fame attraction, which also provides a platform for community outreach, education and character development initiatives, as well as serves as one of Atlanta’s premier special event spaces. For more information or to purchase tickets, please visit www.cfbhall.com.